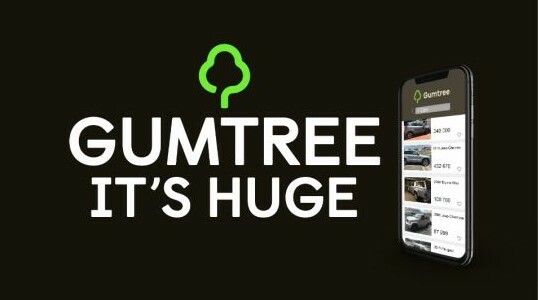 Ogilvy Cape Town's new ad campaign for South Africa’s biggest online trading platform, Gumtree, is all about scale. According to Gumtree, the site has at least five million unique monthly visitors and is the country’s second biggest after news24.com — it carries close to 900 000 posted ads. Estelle Nagel of Gumtree says, "In our business, size really does matter — the bigger your marketplace, the more choices buyers have and the greater reach sellers have. We are number one and should be the default for anyone buying or selling online." Shot by Hylton Tannenbaum of Bioscope, the TVC for the campaign — titled With over 80 000 cars, Gumtree is HUGE — shows a father leaving home for six years to do all the Gumtree test driving only to return and find that things have changed. OOH and radio components will be delivered in the second phase of the campaign, which Nagel says is rolling out on every level of the brand. 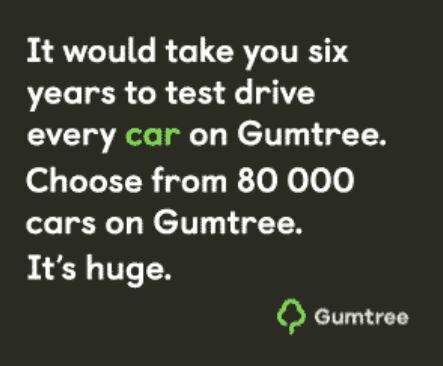 "It’s both literally and creatively a huge campaign for Gumtree," adds Nagel. For more information, visit www.gumtree.co.za or www.ogilvy.co.za.